It’s fantastic to see so many people registering for our #HackTheNorth event happening tomorrow in Manchester. There’s still time to secure your space. The aim of the hack is to come up with innovative solutions to help solve Manchester’s unemployment challenges. In DWP Digital we create digital services that enable users to transform their lives, including supporting them into work. So it was only right that the challenge for the hack reflected that. The benefits a hack can bring to a cause such as unemployment are plenty; they can drive innovation, provide connections, spark interest for the cause, and hopefully make a real impact in solving the problem. It’s also a great opportunity to get some of the brightest and most creative people in the North working together on one of the region’s most important social issues. It was encouraging to see the ONS figures released last week that show the unemployment rate across the UK remains at 4.3 per cent - its lowest level since 1975. But in Greater Manchester, unemployment is higher than the national average with 5.5 per cent of residents out of work*. The challenge for our teams is to identify and address the barriers to people applying for work, and create a digital solution to help break the cycle of unemployment, low skills and low productivity. By developing, attracting and retaining skilled labour, building resilience and sustaining an adaptable current and future workforce it’s possible to accelerate economic growth of a region. Widely acknowledged as the tech hub of the North, Manchester is home to one of the most vibrant digital and technology communities in Europe. 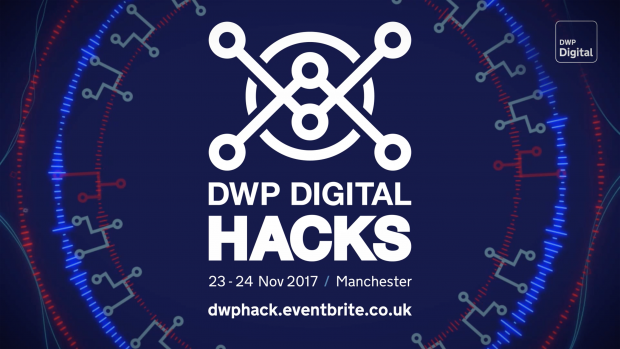 We’re set to open our new digital hub in Manchester early next year, so I’m very excited about establishing DWP Digital within this community through the hack. Community is something we’re really passionate about in DWP Digital. As well as being part of dedicated communities of practice within the organisation and across government, many of my colleagues are active in external communities - sharing, collaborating and learning with like-minded people across the digital sector. The success of the hack depends mainly on its attendees – so if you think you’ve got something you can bring to the cause and really make a difference, make sure you register for your free place on Eventbrite. I’m looking forward to following the event on our @DWPDigital social media channel, and seeing some of the ideas that are generated on the day.